The Marketing Agencies Association has launched a confidential forum where shops can air concerns about pitch practice. The MAA’s Pitch Watchdog will investigate specific complaints from agencies and tackle bad practice. It has been formed amid a climate of frustration over how some clients, such as Premier Foods, are running pitches, and launches ahead of the first Good Pitch Week from the IPA and ISBA. Cameron Day, the chair of the MAA’s new-business group and new-business development director at The Marketing Store, will head the forum, which will be available to member and non-member agencies. do something. We needed a watchdog mechanic where people can get involved, like a trade union." The IPA began compiling a quarterly survey on agencies’ experiences of pitching at the start of the year. 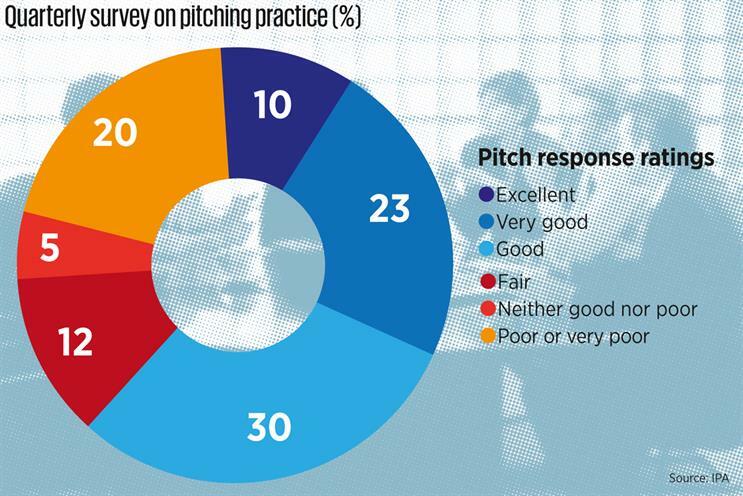 Cumulative results from the first three quarters of 2013 revealed that 20 per cent of respondents rated pitches as poorly or very poorly run. The majority (63 per cent) still rated pitches as excellent, very good or good. Good Pitch Week will comprise talks and workshops. In a session on Monday, Andrea Newman, the global head of advertising at HSBC, will share her thoughts and learnings from the bank’s protracted global ad pitch. Newman will be joined by representatives from JWT and Saatchi & Saatchi but not Grey, which was awarded and then lost the UK retail business this year. Grey continues to have a place on the HSBC roster. Ben Bilboul, the chief ex­ecutive of Karmarama, said agencies were quicker to criticise bad pitches now that the economy has turned a corner. "While the industry might have turned a blind eye to bad pitch practices during the recession, I think now people are more willing to turn down pitches," he said. Bilboul added that there was an increasing trend for clients to run their own pitches, meaning greater vigilance was required. "To date, agencies have relied heavily on intermediaries to make sure the brief is kosher, but now they are going to have to look a little bit closer themselves," he said.